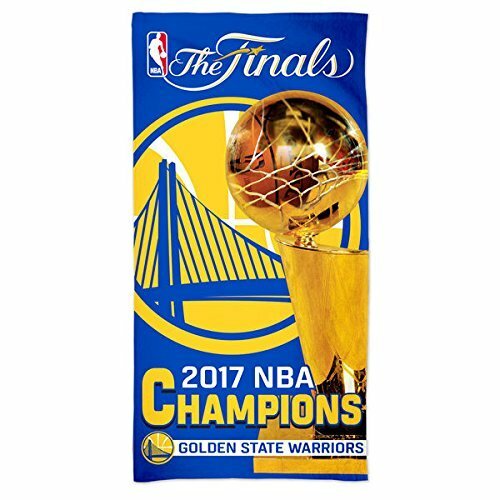 Top Quality Golden State Warriors 2017 NBA Finals Champions WinCraft Spectra Beach Towel. Brand New in Packaging and/or with Tags. 100% Authentic. Displayed on the Front is a Golden State Warriors Team Logo & the Print "The Finals 2017 NBA Champions." Great to use on the beach, in the dorm, or just when you need a big towel. Fiber reactive printed for the highest quality.